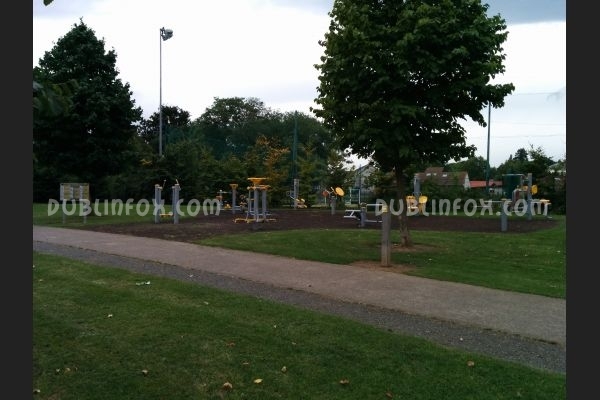 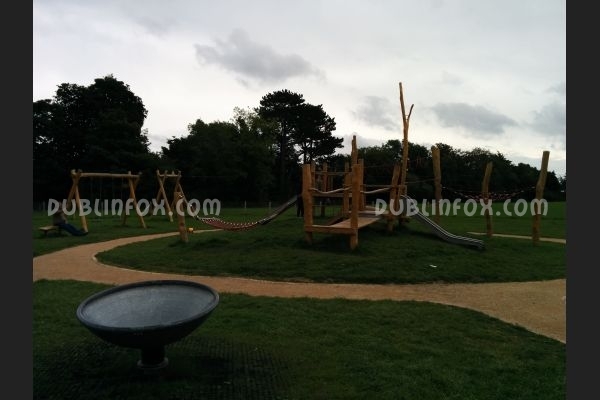 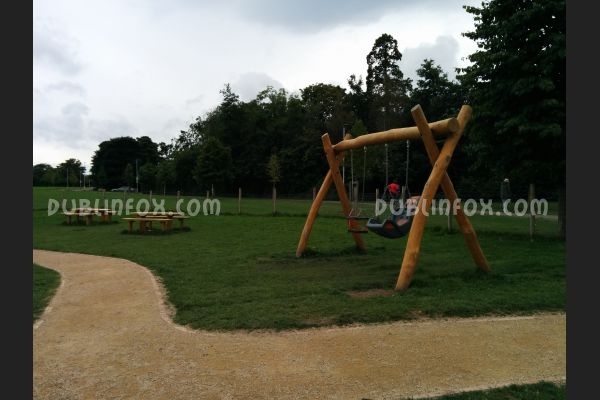 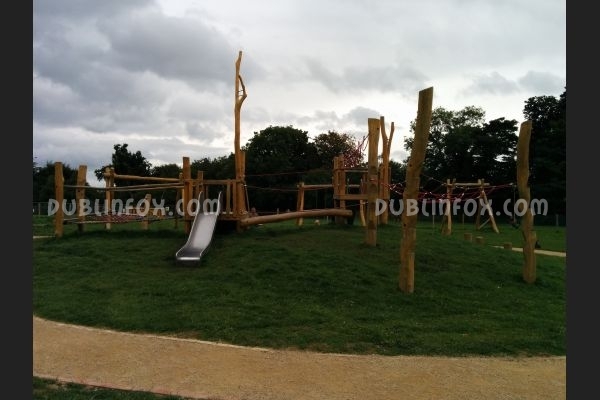 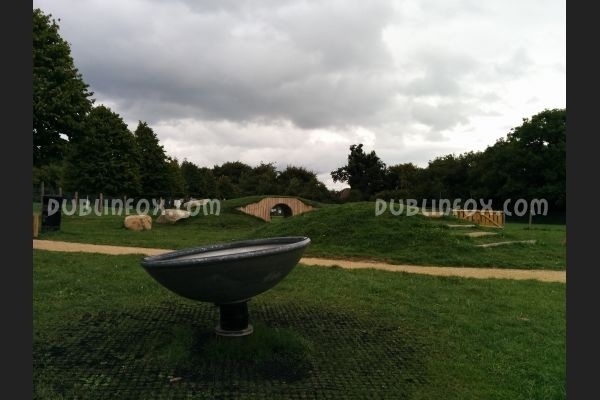 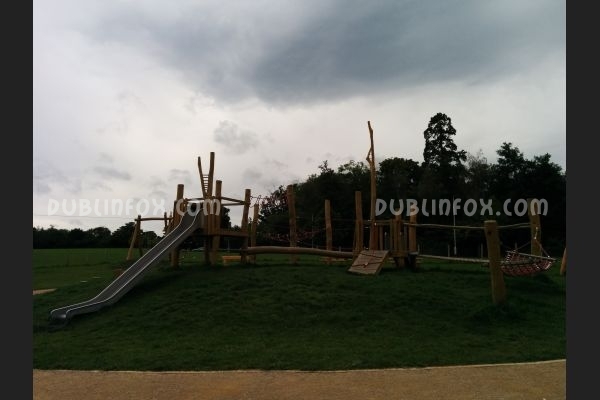 This playground is definitely the brother of the one found on Patrick Doyle Road, Dublin 14. http://dublinfox.com/show/playgrounds/Patrick%20Doyle%20Road.html It is a modern, wooden playground, suitable for toddlers and older kids alike. 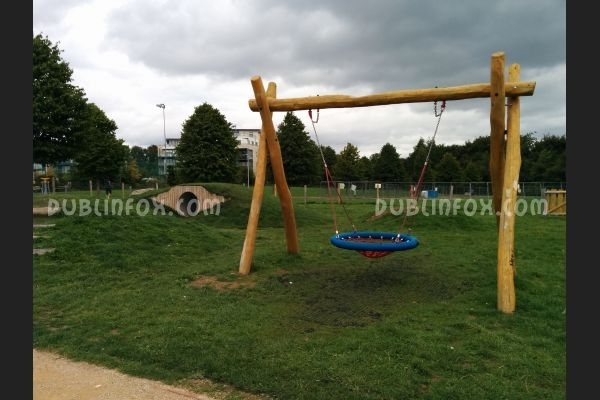 As its surface is rather uneven, it might challenge wobblers and I think even the smaller slide is dangerous for the youngest visitors (it is not "closed" enough, they might fall easily if they lose their balance), so if your child is under two, you should stick to the baby swings and the tunnel to be on the safe side... 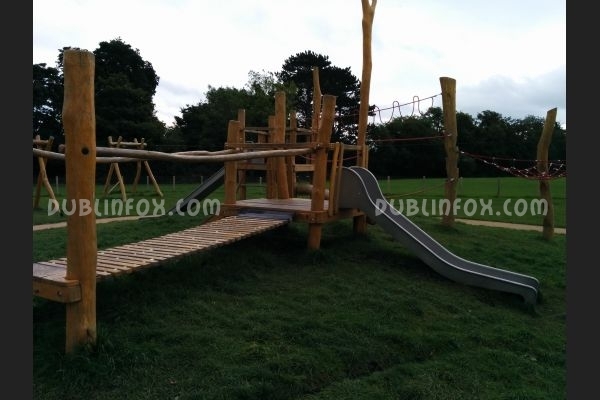 Above two-three, kids will love the zip-line, the big multi-play unit and the balancing structures. 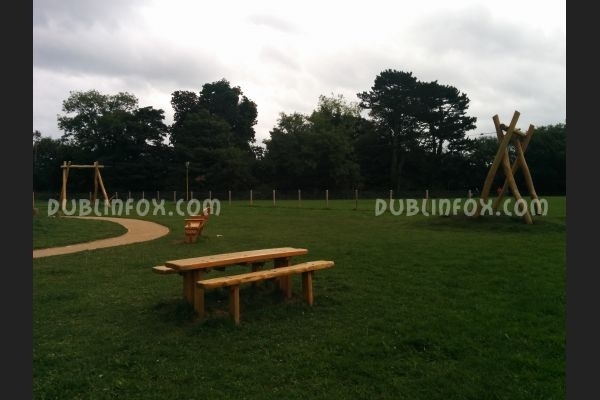 Next to the playground, there is some outdoor gym equipment to exercise and the green area is perfect to fly a kite or have a picnic on a warmer day.